Every day we are faced with decisions we have to make. Right or wrong, good or bad we make them in the best interest of ourselves or our families. 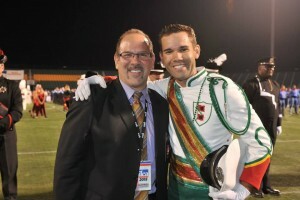 Shortly after last season’s DCA Championships, Brian Maroldt, Drum Major of the Connecticut Hurricanes was asked by the Board of Directors to assume the role of Corps Director for the corps. In the best interest of his Hurricane family Brian agreed to his new position and will be stepping down from his role of Drum Major. This was a very difficult decision for him to make but Brian put his drum corps first as it would be difficult for him to maintain two positions. Brian joined the Hurricanes in 2003 as a member of the horn line. In 2013 he took over the Drum Major podium and in 2014 he won the Best Drum Major Award at DCA Championships. Brian comes from a drum corps family as his grandfather and uncle march with 20th Century Limited from Hudson, New York. Brian has his priorities for the Hurricanes in order for 2017 and some may find them a little surprising. Number one is for the membership to have fun, enjoy what they are doing, and to get an education. Number two is tradition which means getting the corps to be successful again and to be highly competitive in the ranks of DCA. Third is family values in that all members are part of a family in which they will all work together regardless of what section they are in. Brian feels that the membership will grow as the corps will recruiting this winter at indoor color guard and percussion shows. 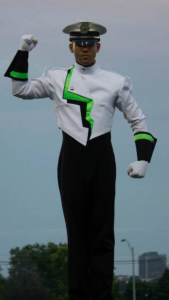 Getting back into the top ten is not a top priority but all he asks is for the drum corps to best the best they can be and look to the future. His staff is very young and all of them came out of a drum corps. They are all excited to be working together and money is not important to them. This season, the Hurricanes have formed a partnership with Sacred Heart University’s band program. This will be a new educational partnership to strengthen the musical education opportunities each organization provides its members. Keith Johnston, Sacred Heart’s director of bands stated that ” At Sacred Heart, we believe in music education in all forms: general classroom, concert band, chamber ensembles, jazz ensemble, choir and marching band. 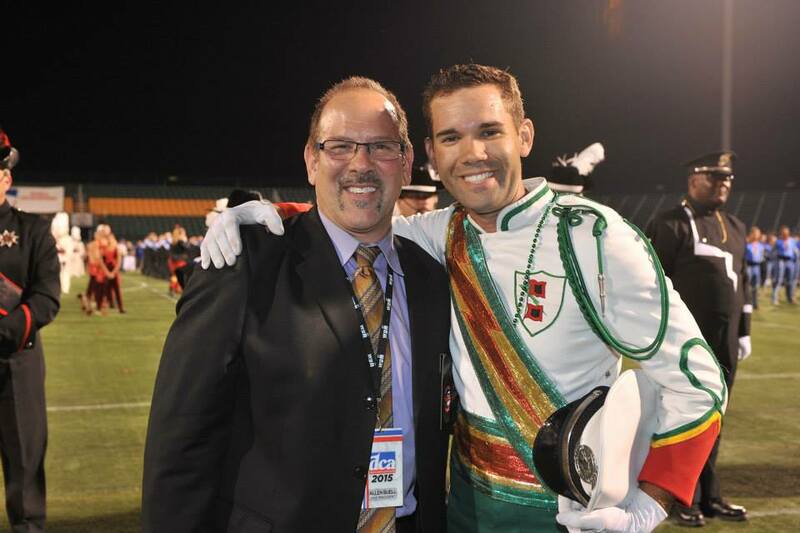 A successful Hurricanes drum corps is good for music teachers and their students, good for the community and good for Connecticut “. Brian Maroldt stated that ” I believe the partnership will provide a level of institutional stability that will allow the corps to grow”. ” The Hurricanes have a rich and successful past, and we want to position ourselves to continue that tradition “. Included among the partnership’s first projects are a ” spring training ” workshop for SHU marching band members with the Hurricanes instructional staff. Also, the establishment of a High School Band Directors Advisory Committee that will help the Hurricanes refine its educational program to support the work being done in the public schools. Brian and his staff also sent out over four hundred e-mails to all band directors in Connecticut to announce this new program. Brian is looking forward to watching his drum corps compete in 2017 and being on the other side of the Hurricanes. I asked him how it will feel at the first show in Wildwood and he will not be on the podium. His answer was simple. ” I’ll cry “. At age twenty-eight, Brian Maroldt has his goals in order for the Hurricanes and has a tremendous positive attitude that he will be successful. His personality and work ethic will only make his position as Executive Director of the Connecticut Hurricanes a positive experience.